Donations are now solicited for the construction of the concrete foundation, main posts, and staircase of the Kundrol Great Stupa for Peace and Harmony. 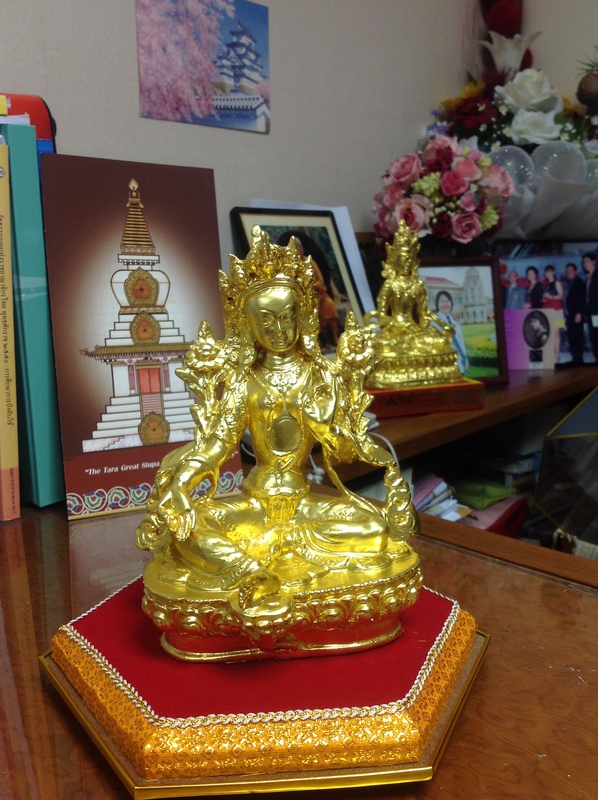 The Foundation is pleased to present a gift of Green Tara by a Nepali artist made of brass with gold finish (Thai art of gilding) by Senator Rosana Tositrakul for a gift pledge of US$ 6,700 (200,000 baht). Each image has been consecrated by Ven. Kunga Sangbo Rinpoche from a Sakyapa lineage which is closely connected to Tara. Inside each image contains sacred objects from Tibet including earth from Mt. Kailash. The construction is planned to start in February 2013, right after Tibetan losar. Interested persons please contact us at 1000tara@gmail.com.